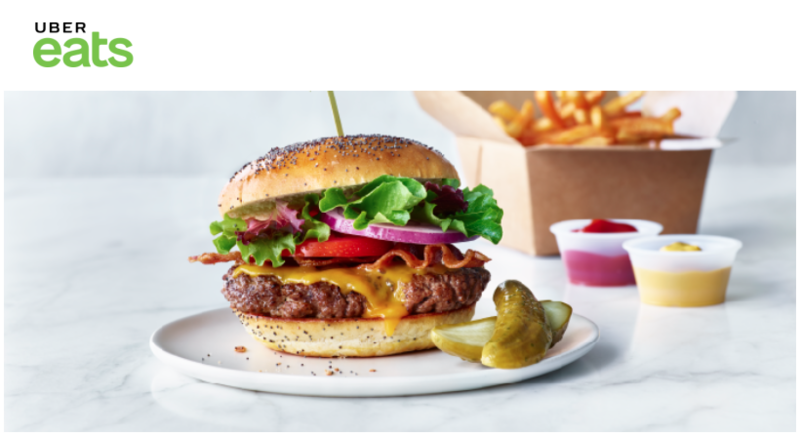 Get Hungry, Barrie: Uber Eats Has Arrived! Ordering your favourite foods from dozens of Barrie’s most popular restaurants is Uber easy: introducing Uber Eats. With the Uber Eats app, you can order the foods you’re craving from the restaurants you love with just a tap, and have them delivered right to your door. That means your morning pick-me-up, work-day lunch, and delicious dinner with family are all at your fingertips. Download the Uber Eats app or visit ubereats.com, and dig in! *Restaurant availability may vary based on your location. Open the Uber Eats app or visit ubereats.com for more details and to find restaurants available near you.